The Tunnock's company was formed by Thomas Tunnock in 1890, when he purchased a baker's shop in Uddingston, near Glasgow. The company expanded in the 1950s, and introduced its now famous Tea Cakes and Caramel Wafers. 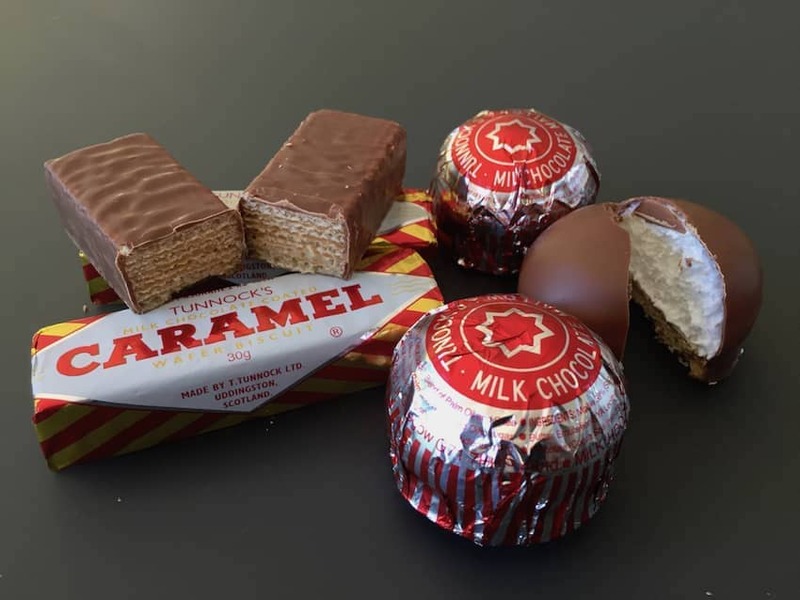 The Tunnock's Tea Cake is not to be confused with the bread product of the same name but is in fact an Italian meringue centre on a biscuit base, covered in milk chocolate. The Milk Chocolate Coated Caramel Wafer Biscuit consists of five layers of wafer, separated by four layers of caramel, coated in milk chocolate. Caramel Wafer biscuits are also available in a dark chocolate variety and can be recognised by their blue wrappers.